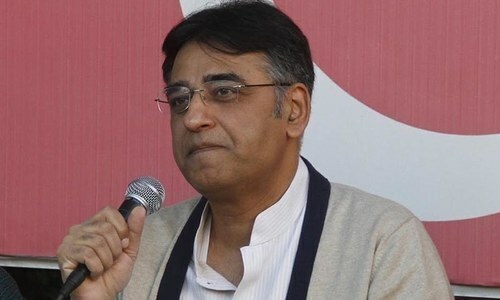 ASAD Umar, the man expected to get the most important job of bringing the faltering economy back on its feet in the incoming Pakistan Tehreek-i-Insaf (PTI) government, views an International Monetary Fund (IMF) bailout as a “fallback option”. He does not rule out the possibility of knocking at the door of the lender for its dollars to prop up the depleting foreign currency reserves and avert the impending balance-of-payment crisis, but says it is not his “preferred option”. Since the PTI’s win in the July election, the finance minister-in-waiting has repeatedly told journalists that a decision to use the IMF option will be made by the end of next month. During his recent media interaction, he had said that Pakistan is running a monthly current account deficit of $2 billion for the last three months. Despite his assertion that he would like to ask the IMF for money only after exhausting other preferred options, he has at least once hinted at seeking dollars from every source available. “The (external account) situation is so dire, we don’t have the luxury of choosing one option, but will have to plan all options in parallel, including the IMF support,” he had told a media briefing last week. Pakistan had run up a current account of $18bn during the last financial year. Mr Umar told this correspondent that he could not say anything about the exact size of the country’s financing requirements for the ongoing year because he did not have access to official numbers. However, leading economist Dr Hafiz Pasha had recently told Dawn that Pakistan’s financing needs stood around over $26bn. This compares with the IMF estimates of $27bn and the finance ministry’s calculation of $23bn. The former caretaker finance minister was of the view that the incoming government would be facing a massive financing gap of around $12bn during the current year. His advice for the new finance minister was to take the first flight to Washington after taking oath to secure the IMF funds before the country ran out of its meagre foreign currency stock of $9bn. Indeed, the Fund is not going to hand cash to next government without demanding something in return. Economists like Dr Pasha believe the IMF dollars will have many economic and non-economic strings attached to them. Others like Dr Masood agree that the loan conditions could be tough. They had severely criticised the previous government’s policies under former prime minister Shahid Khaqan Abbasi and his finance minister Miftah Ismail for letting the budget deficit swell to 7.1pc, keeping interest rates low despite increasing the aggregate demand that fuelled the current account deficit and allowing massive personal tax concessions in the last budget. But they insist those conditions are in Pakistan’s interest to accept. “What can the IMF ask from us in exchange for its dollars? They will demand structural reforms like privatisation of state-owned businesses, expansion of the tax base and imposition of fiscal discipline. That means interest rates will go up and the rupee will lose a little more of its value. “But, the implementation of good economic policies is in our own interest, no?” the former finance secretary said, explaining his assertion why bilateral cash cannot substitute the IMF dollars. But many economists such as Dr Shahid Zia argue that the incoming government will have to explore all options available to it for securing funds to prop up the foreign currency reserves and stall a balance-of-payment crisis. “IMF funds are needed for forced structural reforms and fiscal discipline. But that will not be enough. A large chunk of the Fund money will go back to it (as Pakistan already owes it $6.4bn). Just open a running Welfare State Fund for overseas and local Pakistani’s contributions to be utilized for any urgent need per Government’s discretion. Trust me in just a month the fund will have so much money that very little “loan” will be needed if none. No better option. 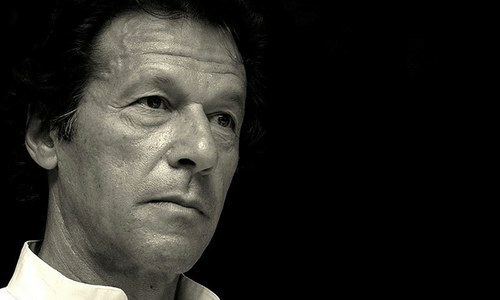 Pakistanis are very generous if they trust a Government and IK is fully trusted. A larger game is being played by US and its allies to monetarily squeeze Turkey, China, Russia etc. so that they may control finances if the world. Other small countries will be hit nonetheless. Excellent points. The IMF will surely demand structural reforms - but those reforms will likely benefit Pakistan in the long-term. No IMF. I am an overseas Pakistani and fully support bonds' idea. Its time for us to sacrifice for the country even if we have to lend money without any expectations of profit. You start the bonds and I will be the first one to push Pakistanis to buy them. IMF seems to be the only option as Asad doesn't tell about the other options. Loan is the only option whether it is taken from IMF, IBD, WorldBank, China, or islamic bank. All options will have their terms and conditions- good or bad. Pakistan would like to see a potent Anti-Dowry Bill enacted in the first 30 days of the coming government. This crime against the Poor Daughters Of The Nation has to be made punishable by law up to 20 years of rigorous imprisonment. So the people take it seriously. No doubt; this Law will also bring down the Diabetes Patients Numbers in the country significantly. Washington is watching all the statements coming out of Pakistan. Asad Umar is playing to the domestic gallery. Pakistani politicians, media and some finance experts have created a hype that pakistan does not need IMF help. But the truth is totally different. @Patriot Sir, are the overseas pakistanis so wealthy to bailout pakistan in this crisis? Attempts should be made by the new leadership to convert a part of CPEC loans into grants -- that will ease the situation. They should already have had a solid plan in place. Critisizing other will only get you so far. I am an overseas Pakistani. First they should give overseas pakistanis the right to vote then ask for their money. Overseas Remittances are vital with Foreign investment. Need it within this year. IMF and other multilateral loans are inevitable before that!! IMF loan is a option provided Pakistan can get it from IMF. Further, the amount of loan IMF can grant is now enough for Pakistan's needs. @Patriot - Sir, nationalism does not mean people would take their personal money and put it at risk. Erdogan is also wanting Turks to spend their personal funds to save Turkish economy. Doesnt happen, wont happen. Because the government funds are anyway paid by the tax payer. Would you pay a bad borrower more? @ZILLE - how much of your personal wealth would you commit sir? How much would it amount to overall? How long would you be willing to wait for recovering your money and at what rate of return? And buying bonds is like lending money to the government. Are you sure your government would not wipe out your personal wealth if you bought the bonds? Get real sir. Loan it like you just don't care. Pedal to the metal. try an ICO. Worth a shot... totally worth a shot, if done right. It's interesting that no one seems to care about the reduction of consumer imports into Pakistan when discussing the reduction of our trade deficits. Approach overseas Pakistanis, I will be happy to do my part now with a government that is sincere about this approach. There should be parallel strategy, 1 seek all options, bonds, invite overseas Pakistanis after assuring them with action their right to vote, multi lateral, unilateral and then balance from IMF. These are short term to medium term strategy, long term increase tax base, export, austerity drive, control corruption etc. Mr Asad Umar should arrange a team of economic experts as his think tank and formulate national consensus on economic actions, short term, medium and long term economic strategy to get the country on its feet. There is nothing to be shy about seeking expert advise from people who are experts in their respective economic and financial field with exposure to state affairs with various govts. @Maha Mitra : You are right. Oversees Pakistanis can not even be able to contribute 1/5 of the requirements. The real test begins for the pti. Accusing others was easy. Will they end up doing the same things or have any new ideas remains to be seen. Another Turkey in the making in terms of currency. Keep interests low and get foreign currency debt to fuel growth and hope 'growth' will pay off the debt. In Pakistan, structural reforms suggested by IMF haven't been implemented. Before going to IMF better study Brazil ,Greece ,Egypt &other similar countries under burdens till to date?Not a helpful idea? I don't think Pakistan can attract foreign residents in investing their money into Pakistan. I know a lot of Pakistani friends who are just not prepared to send money to their families in Pakistan.They say it is not secure and rather they would spend the money in their immigrated country and their immediate family but not send to Pakistan. With such insecurity it is difficult to convince the non residential Pakistanis. Please privatize PIA, Pakistan Still Mill and WAPDA and payoff the outstanding loans. Also increase the tax base including taxes for the owners large agricultural land and poultry industry. Create a sovereign fund with a good ROI. Billions will come in and there wont be any need for IMF. Pakistan and IMF are old friends. Pakistan has had 21 bail outs since 1950 and 12 since 1980. That works out to a bailout every 3.2 years. Both parties have experience with each other. IMF knows what Pakistan is going to say. Pakistan knows what IMF is going to say. Let the dance begin! How will Pakistan increase export other than by devaluing currency? Unfortunately, the rupee has already depreciated a lot. Anything further and you risk high inflation and popular backlash. IMF as a fallback option is great but its just listening to govt. running to every friendly country asking for money is just very embarrassing. Even if we have to implement a stringent monetary Policy to put a stop on imports our industry will go on ventilator. We have failed to develop a supporting Eco system for the industry and to add insult to the injury, Chinese products are just killing of what little we have left of our industry. Its too late to be able to develop this Eco system now since countries around us have moved forward in social and economic measures we cannot compete with a begging bowl in hands. We have decrease the expenditure to be able improve the social indicators. @Patriot My friend it is easier said than done. What will be the yield on that loan? Where will we get the money to service it when interest rates are expected to go up and spreads could very well widen? It is just as naive of a suggestion as financing a dam with charity. That is not the way capital markets work. Saudi may give oil for a discount, but not cash. 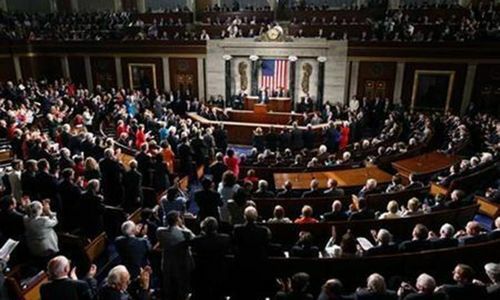 China will not give any more money than the $2 Billion they have already given, as that would be risky for them, and even if they did they too will impose their own conditions. Exports cannot go up fast enough as you need cheap and reliable electricity to boost manufacturing. Even the electricity that will come online by CPEC electricity projects by 2020 will be expensive unless contracts renegotiated, as they should be. Marketing high interest, rupee denominated bonds, to overseas Pakistani is a new idea whose time seems to have come! We should all understand That there are only three ways for the government to pay for anything: Taxes, User Fees and Debt. There is no fourth way unless you have nationalized oil or gas wealth. The insistence is merely a pretence when we know that any other options are merely to show off that there are lines of lenders awaiting to give their money to Pakistan. @Zak This is a very good option. Must be explored. The new Pakistan govt has to tackle the financial crisis on a war footing as it needs a bail out of a huge amount from a major source immediately. The finance minister suggestions of boosting exports and more investment from overseas Pakistanis could only be translated as a long term goal. Pakistan has to rush to IMF and ask for a minimum $15 billion loan on an urgent basis and hope that the same is approved. US who has a major say in IMF has already hinted that it will put hurdles citing Chinese loans to Pakistan. Turkey is already suffering due to its differences with US on some issues had to suffer with Lira falling 50% of Dollar value and its economy crumbling rapidly. Pakistan surely needs to mend its fences with US on top priority if it plans to seek IMF loan to save itself from a major financial crisis looming large on it. @Maha Mitra Yes they are. A certain Mr Shaid Khan is worth $5billion dollors on his own. Start an advance Tax account. People can put funds in anticipation they will be used for future offsets of tax liabilities but government will have funds immediately. The most sensible advice so far, but no takers, I guess. Mr. Asad Umar you should approach the government of the Netherlands to assist you in electricity generation by wind power and solar panels. Netherlands royal family helps a number of nations. As for PIA we offer our services to help resolve the problems in that airline with our aviation expertise who are dedicated ex PIA employees without any fees. @Patriot you think overseas pakistanis will donate 27 billion dollars to pakistan?? ?Do you know how much money you are talking about???? @ISHRAT salim Can't agree with you more. Asad Umer has no experience and expert knowledge of public finance. what I see from him is worrying. He has already started to present himself as an expert on the world economy. IK's first task of choosing his cabinet is to do the fitment exercise to match the required expertise with whats available in his people. For instance, most qualified, well respected and well-spoken person for Foreign Minister is Shirin Mazari but I don't think she is being considered. So much for the merit and fairness. As soon as PTI government comes to power, the first priority should be to bring the looted property back to Pakistan. If you treat these criminals the same way you treat poor people in Jails, believe me you can force them to bring the money in 24 hours. Our looted wealth is enough to get rid of IMF. @Ahmed bin Babar : you have literally spoken my language mate. The government can easily raise ten times more revenue than they do at the moment. Besides all loop holes responsible for depleting foreign currency reserves needs to be closed down. Banks should be given the task of handling remittances, all currency dealers should be permanently shut down. No export of foreign currency should be permitted without a corresponding tax returns certificate. And the amount per leisure traveller should be reduced from $10000 per person to whatever amount is actually appropriate. A very strict check is required on customs appraisements so as to avoid under/over invoicing. All online purchases from overseas should also be suspended for the time being until these purchases are properly regulated.